$2,200,000 THE WITTHOEFFT RESIDENCE. Architect, Skidmore, Owings & Merrill, 1957. Masterpiece of modern architecture. 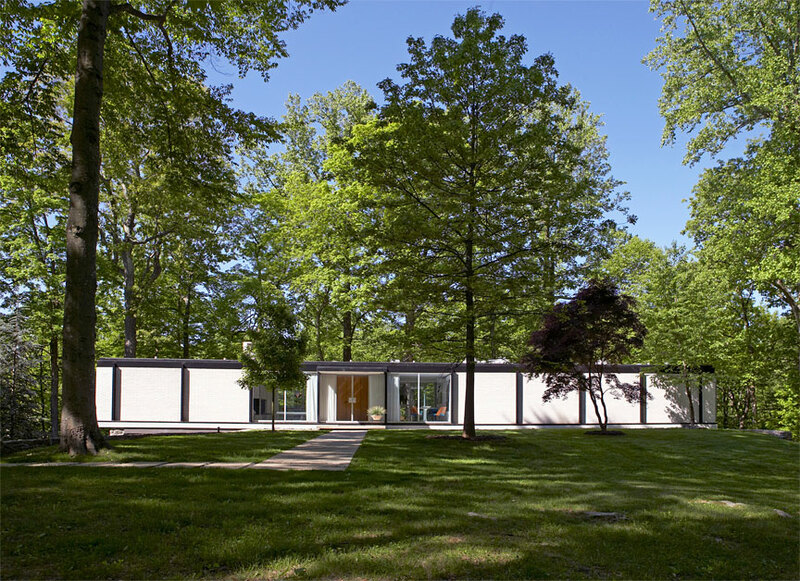 This Steel & Glass International Style one-of-a-kind property is a triumphant statement of bold modernist design. Saved from the wrecking ball, meticulously restored & now published. Featured on the National & New York State Registry Of Historic Places in 2010. 125' of floor-to-ceiling glass take in private setting with flowing brook. By the numbers: 4 acres, 2,500 square feet, 3 bedroom, 2 bathroom, family spa on 100' terrace, 4 car underground tandem garage.